Apple and NV Energy on Wednesday announced a deal to build an extra 200 megawatts of solar power in Nevada, aimed at supporting the former's Reno data center, with a target completion date of early 2019. Apple will also dedicate up to 5 megawatts for NV Energy's future subscription program for residential and commercial clients, the latter company said. Apple's VP of environment, policy and social initiatives, Lisa Jackson, noted that the Reno data center supports various cloud platforms including Siri, FaceTime, and iMessages. NV Energy said it will file the application to start a power purchase agreement in "coming weeks." The arrangement will presumably involve Apple Energy, a subsidiary created in May last year to sell excess energy into wholesale markets. 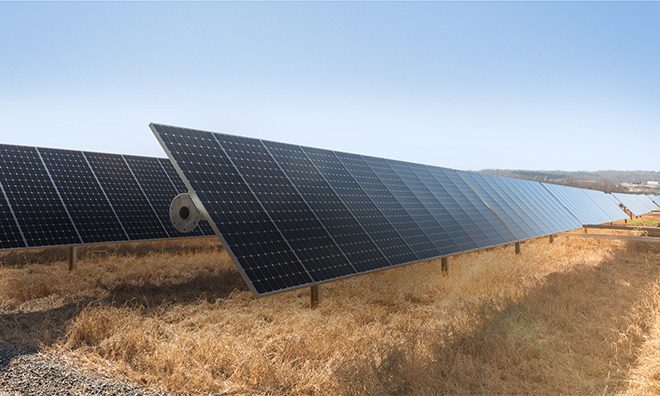 Apple has been working to power as many of its own stores and offices as possible with renewable energy. In fact the company says that its data centers are already fully powered by clean sources, which suggests that the Nevada solar expansion will be matched by an expansion in the data center itself, presumably to keep up with growing traffic in the U.S. and elsewhere. The company's next big solar endeavor may be its Campus 2 headquarters in Cupertino, Calif., which will have panels lining the rooftops of several structures including the main "spaceship" complex. While already overdue, it should open sometime in early 2017.